Antanas Guoga, was born 34 years ago. He is one of the best and maybe the best poker player in the world. He is known also as Tony G.
We could say that he is a true poker legend, because he has taken part with some of the best poker players in the world. Many poker players speak about his wild characteristics and his very talkative manner. Many of his rivals do not like him, but everyone will agree in one thing, that he is definitely one of the most interesting characters on the poker circuit. You never know what will he do or say and maybe because of it, he is very often the guest at the TV poker table. Tony G with his parents moved to Melbourne in Australia in 1984, where he taught himself poker. He was attracted by the power of poker. He was always independent but he had many problems because of his young view. When he was playing, his rivals did not take him seriously, so it was an additional motive to build himself a famous and respectable name in the poker world. Poker completely dominated his way of life. It led him from Australia to Hong Kong, where he was working as a dealer, then to Las Vegas, where he felt the dark side of the poker, when he lost everything. But it did not demoralize him. He picked up and carried on and he visited the most famous casinos in London and Vienna. The love to poker forced him to break the law, he had a false identity card till 1994, when he was 21 years old and then seriously started to do the poker, now in the accordance with the law. In that period online poker appeared. Tony G completely understood the advantages of this game and online poker became his passion helping him to realize his dreams. Tony G was one the most successful online poker players in the world in 2000, and in some following years. He was never satisfied with his own success, he was always the fighter for the poker popularization in the world, and because of this he went in the new poker adventures and established some informative sites about poker, including Pokernews.com, Pokeraffiliateworld.com and Pokerworks.com. He is not only the "bad boy of the poker" he is also one of the most successful tournament players and to 2007 he has won over 2.3 million dollars. 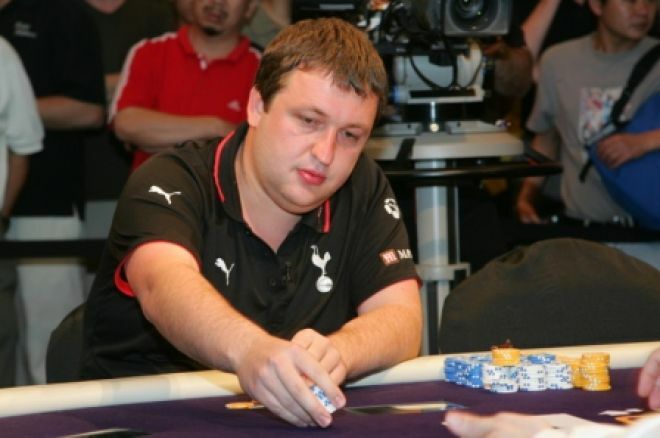 His first important live tournament played Tony G at the end of 2001. year, when he got the second place at the Inaugural European World Series of Poker (EWSOP). Tony G succeeded the Heads Up Omaha Championship in 2002 year, when he beat Dave "Devilfish" Ulliot. He took part at 10 final tables in 2003, in spite of many business obligations. At the final table of the World Poker Tour in the Aviation Club in Paris, he took 5th place. The same year he succeeded the White Night Festival in St. Petersburgh in Russia and took part at two final tables at the Bellagio Five Diamond Poker Classic in Las Vegas, where he took the 3rd place at the Omaha Championship. At the WPT Mirage in 2004 he was bubble boy, took the 7th place, so he missed another final TV table. At the Grand Prix de Paris he took the 2nd place when he played the heads-up with Surinder Sunar and lost it. In 2005 he won the Palma at the European poker the amount of 5.000,00 dollars at No Limit Holdem Main Event competition, and arrived at the final table at the World Speed Poker Open. In 2006, representing Australia, he came second at the Intercontinental Poker Championship, WPT Bad Boys of Poker II and Betfair Asian Poker Cup tournament. In 2007 he took part at the NBC television programme the Poker After Dark and came third place. He was the winner of the first poker tournament Moscow Millions, the prize of $205,000 he gave to one Russian Charity association.